How can iOS 5 and next iPhone be announced seperatlely? Discussion in 'iPhone' started by jg2693, Jun 2, 2011. How can iOS 5 be announced without the next generation iPhone being announced along side it? Surely iOS 5 will have features only the next gen iPhone can handle (ala 3GS and iOS 4)... Wouldn't Steve want to introduce those new features on the new device, rather than holding out until September for the release of iOS 5 and the next generation iPhone? I don't think the iPhone 4 would have any problem handling new features with its specs. iPhone 4 should have no problem with iOS5. This might just be a "preview" of sorts anyway, not to be released for a while. Iphone 4S is expected to just be an upgraded camera and dual-core processor, not offering anything with iOS5 that the iPhone 4 can't do (just slower). I can see where you're coming from. But treat this like the April preview of iOS that we used to get. Apple always talked about what's to expect with the next iOS without mentioning the iPhone which came out in WWDC (for the last few years). Bear in mind that was pre-WWDC; not at WWDC itself. It's a little weird to have such a huge event, and introduce just software... then have another event in a month and introduce an iPhone. Well, for the past 3 years they have announced them separately. Why is it so unbelievable? WWDC (before iPhone) was always for software; hence World Wide Developers' Conference. WWDC = World Wide Developers Conference. WWDC is now and has always been about Software, it was just recently that Apple used that event to launch new Hardware since it had the attention of 5,000 Developers and the Media in one room. With the success of the iPhone/iPad and iPod touch, I think Apple feels confident that it can once again refocus WWDC to be about Software. 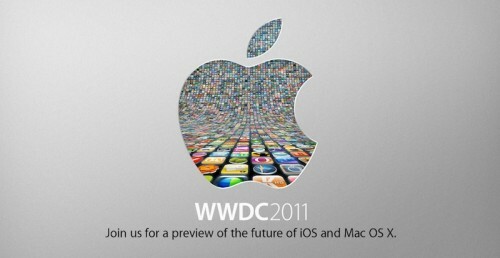 Mac OS X Lion, iOS 5 and iCloud will be the main focus this year. True, but at WWDC the world is watching and it has some of the best coverage. I think they'd prefer to release new iPhone hardware at a huge press filled event, rather than a smaller event which may not gain as much attention..
Also, developers are the people who MAKE iOS what it is.... with all the applications and such... I think they'd be interested in the new and improved things next generation hardware can do, which would also allow the following developer conferences to talk to them about some of the new features and how they can be implemented into their own applications. That may be true but displaying both a new iPhone & brand new OS at one event is bit too much. It is best to spread it out like they've done. Also, Apple is the only tech company I think of that doesn't need to worry about coverage. They could announce iPhone 5 from Jobs' office and it will still be the most overly reported thing ever. Just because you really really WANT to see a new iPhone next week that doesn't mean it's going to magically happen. Working backwards to come up with theories that justify your imagination is not going to change the world. Think about it. Apple is trying to "keep the consumers happy" with previewing everything but a new iPhone. Everyone knows it's coming. Look at the banners, OS X Lion, iOS 5, and iCloud. Personally, if iOS 5 doesn't utterly blow iOS 4 out of the water, people are going to be turned off. Apple is using this as a buffer time to make the Verizon iPhone come out near or at the same time as the AT&T iPhone. To be honest, I'm looking to be disappointed on Monday. Also if the next iPhone has some new hardware features that can be taken advantage of there is nothing stopping Apple from adding or activating those features in iOS5 at a later date. Apple could send the janitor out on the street with a trash can that has an Apple sticker pasted to it and announce that they are now selling the iTrashCan and it would be world wide news. The iPhone will get an outrageous amounts of attention no matter how Apple unveils it. The buzz word this year a CEA was that Apple was going to announce the iPhone for Verizon, and Apple didn't even attend or hint that they intended to do so. iAgree, Apple will get coverage no matter how or when they announce the next iPhone. I'm afraid a lot of people hoping for the iPhone 5 will be disappointed next Monday. I can already see "WWDC 11 was so crap, nothing exciting happened except iOS 5" threads. If Apple releases an iPhone 5 in WWDC, then it'll probably be one of the best kept secrets of Apple. Needless to say, it's highly unlikely that there will be one. I agree with yours and Small White Car post. Just because you really want it to doesn't mean that it will happen, and as soon as it doesn't get announced their will be a flood of people disappointed on this forum. iOS 5 has already been said to work with iphone 4's no problem and i believe 3GS. Earlier models? I don't believe iOS 5 will run on. I'm not working in reverse to justify my imagination .. I'm using logic and reason to guesstimate the chances of a new iPhone on Monday and why it would be a good idea to do so. The problem is that your not using logic, your using wishful thinking. Developers need an advance copy of the next OS (beta) for the iPhone so that they can test their current apps to make sure that they will work with iOS 5 and to report back to Apple any bugs that it encounters. Also so that they can develop new apps using the new API's that Apple will introduce on Monday. Apple normally doesn't allow submissions of new Apps running new API's until at least 1 week before iOS is to be released. Can you imagine the backlash Apple will face if they not only introduce iOS 5 on Monday, but also announce that the next iPhone and iOS 5 will be available in 2 weeks, so developers please code quickly and please submit your updates to your Apps starting next Monday. iOS 2, 3 and 4 was in beta for at least 3 months before it was certified Gold Master and released, all without ever showing off future hardware. I don't know how many more reasons you need that their will be no iPhone come Monday, and if you are let down next week than that will have been your own fault. "Come see a Preview of the Future of iOS" and "Mac OS X, iOS 5 and iCloud" are pretty clear signs that Apple has finalized what WWDC will be about. I tried, I give up now. It is pure marketing to suggest we need any better specs than the iPhone 4 offers. I hope for a more lightweight iOS5 than some heavy, slow Droid code. WWDC is now and has always been about Software, it was just recently that Apple used that event to launch new Hardware since it had the attention of 5,000 Developers and the Media in one room. With the success of the iPhone/iPad and iPod touch, I think Apple feels confident that it can once again refocus WWDC to be about Software. ..and thus return to the boring, non-event it used to be. How much mainstream media actually followed the event before it was connected with the iPhone release? I can't be the only one that sees that 5 and thinks the 5th model of the iPhone is going to come out? But I know there have been a lack of concrete rumors that we'd expect if a new model was due out very soon. How can iOS5 and the next iPhone announcements be separated? That's actually rather easy. What could the next iPhone have that would affect what features come in iOS5? None of these will affect what the new features in iOS5 will be. They may need changes to Apps and pieces of iOS5. But it won't be features of iOS5, they will be phone features.